Tanzania is not only one of Africa’s finest safari destinations, it is also one of the best for families. On a safari that is never rushed there is plenty of variety, with a wide range of sights and activities to keep children of all ages engaged. 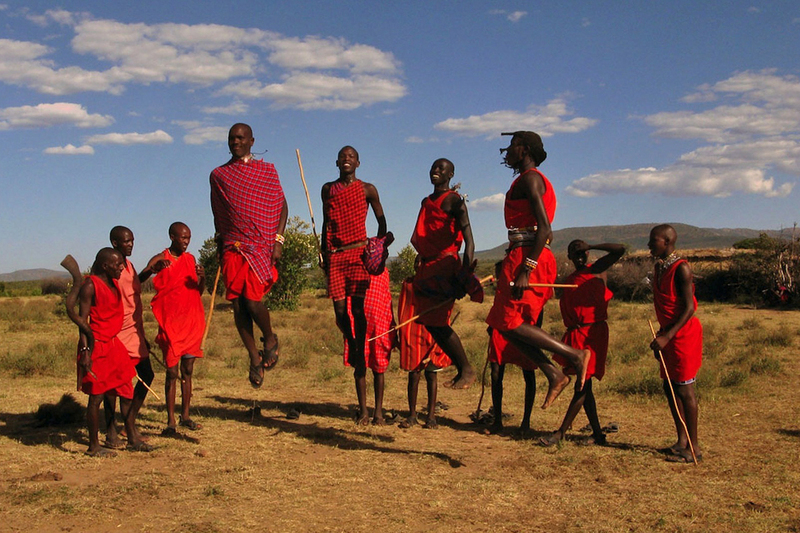 From the very outset you’ll find yourself immersed in Africa and marvelling at its sheer scale. Travelling in a private vehicle for the first eight days you’ll have the freedom and flexibility to speed the pace up or slow it down. When you’re on game drives you’ll be able to let your guide know the particular species you want to see and then stay and once you’ve found them you can linger as long as you wish. From the vast plains of Serengeti to the Ngorongoro Crater you’ll witness some of the most iconic wildlife spectacles on earth. The last 4 days could not be more different as you leave the wildlife behind and fly to the spice island, Zanzibar. The resort is situated on a bluff at the north end of Zanzibar Island, about 60 km north of Stone Town, with natural surroundings of white sands, beautiful beaches and tranquility. 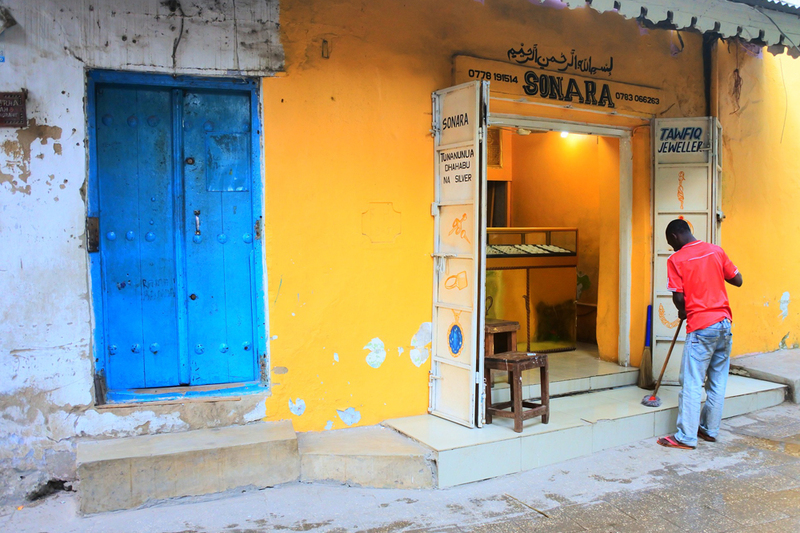 Stone Town, a World heritage site, is the old part of Zanzibar City and well worth taking time to explore. Arusha: hiking and canoeing in Arusha National Park. Lake Manyara: Vilage visit, canopy walk (optional), zip line, optional, game viewing in Lake Manyara National Park. Zanzibar: Swimming, snorkelling, a variety of water sports, Stone Town visit. Day 1 Arusha – Upon arrival at Kilimanjaro International Airport you will be met by our representative and transferred to Arusha Serena Lodge, on the shores of Lake Duluti. The remainder of the day is free for you to relax after your long flight. Nestling in the heart of a coffee plantation on the shores of Lake Duluti the lodge will give guests a true experience of a coffee plantation and is designed as an African village. Accommodation is in banana stem thatched huts, grouped in semi-circles around tropical shade trees. All guest rooms have private balconies that boast magnificent views of Mt Kilimanjaro on one side and Lake Duluti and the rugged peaks of Mount Meru on the other. Activities include lake shore walks to see Colobus monkeys, forest antelope and the abundant bush life. Day 2 After breakfast, and armed with a picnic lunch, set out for a day in Arusha National Park. 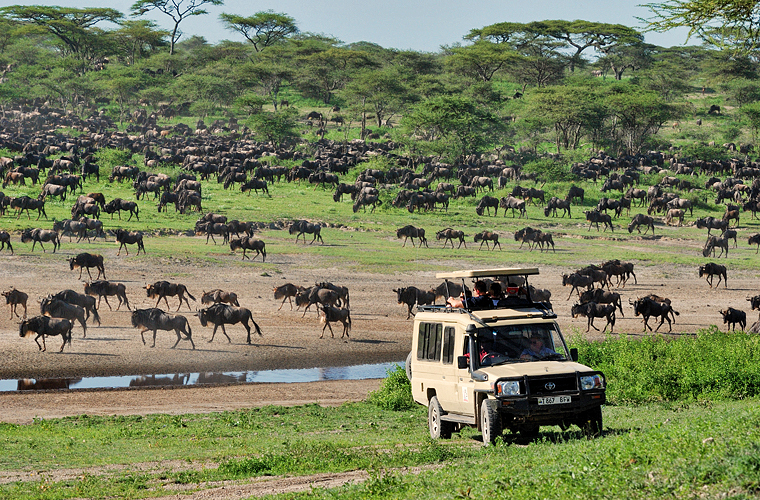 This is an ideal starting point for your Tanzanian safari. Often overlooked by visitors eager to get to the more famous reserves, this small park has stunning landscapes with great mountain views and offers you the chance to go walking with your guide and canoeing on Lake Momella. Both activities will let you see the wildlife from a much more intimate viewpoint that your safari vehicle allows. Return to Arusha for dinner and overnight. Day 3 After breakfast depart for Lake Manyara National Park. En route to our lodge we will stop at the village of Mto Wa Mbu where you will be joined by a local guide for a walk through this fascinating community. From Mto Wa Mbu continue to African Sunrise Lodge at Lake Manyara. African Sunrise Lodge & Campsite was purpose built with families in mind and consists of 6 large cottages and 4 detached tents. At 1250 metres above sea level, Sunrise sits directly on the edge of the Great Rift Valley with nothing but panoramic views all around. After lunch in the lodge there’s time to relax before a game drive into Lake Manyara National Park. Optional activities whilst at African Sunrise include a treetop walk, the first in Tanzania or a Zip Line adventure. Minimum age 7 for both activities. Day 4 Serengeti National Park – Leave Lake Manyara and drive to the Serengeti National Park; one of Africa’s most famous game viewing areas. Though perhaps best known for its annual migration, when some six million hooves pound the open plains, as more than 200,000 zebra and 300,000 Thomson’s gazelle join the wildebeest’s trek for fresh grazing. Yet even when the migration is quiet, the Serengeti offers arguably the most scintillating game-viewing in Africa: great herds of buffalo, elephant and giraffe, and thousands upon thousands of eland, topi, kongoni, impala and Grant’s gazelle. Golden-maned lion prides feast on the abundance of grazers; solitary leopards haunt the acacia trees lining the Seronera River and cheetahs prowl the southeastern plains. Stop for a picnic lunch en-route before finishing the day at Kati Kati Tented Camp. Day 5 & 6 Two full days to explore this magnificent park. 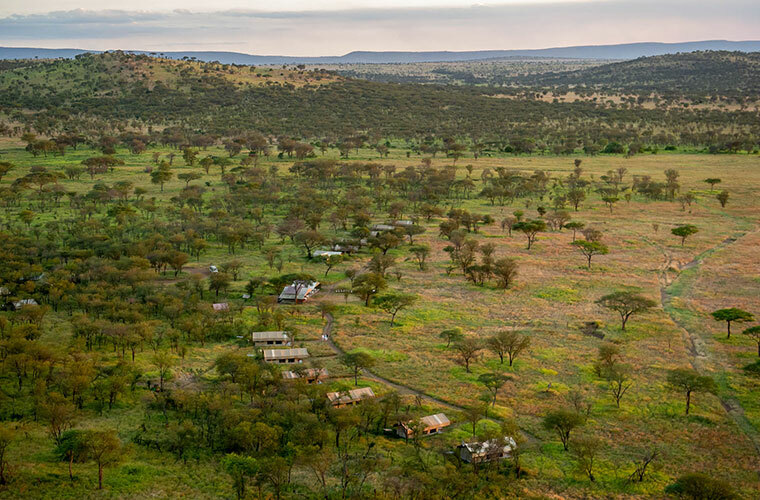 From the camp, which is in the central Seronera region of the park, your guide will take you in search of the herds of wildebeest and other plains animals. 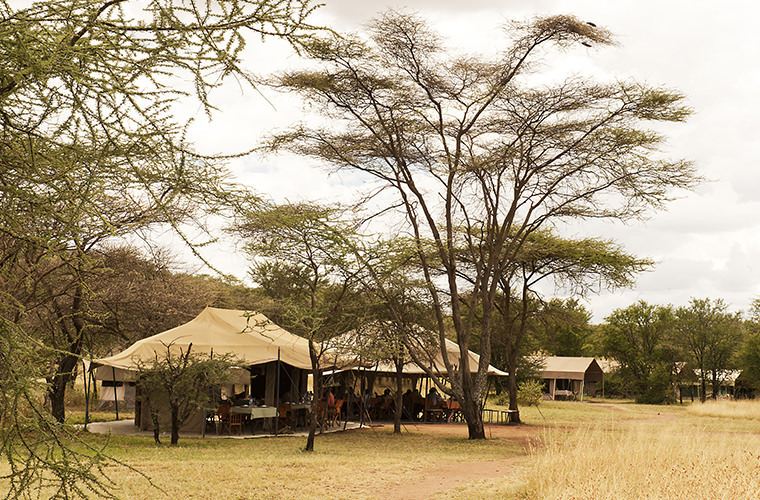 Rather than returning to camp each day for lunch you may prefer to stay out and enjoy a picnic amongst the wildlife. Day 7 Ngorongoro Conservation Area – Leaving the Serengeti plains, drive to Olduvai Gorge; site of archaeological findings that have allowed anthropologists to trace our ancestors back through 3.5 million years. The new on-site museum is superb. From Olduvai, continue to Eileen’s Trees Inn in Karatu, close to the Ngorongoro Crater. The guest rooms are set in beautiful tropical gardens and there’s a bar, small lounge area and dining room in a rustic wooden building reminiscent of a tree house. 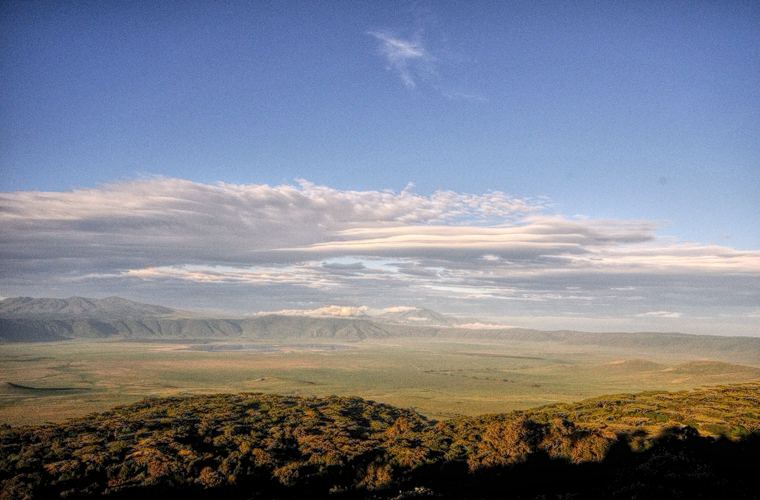 Day 8 Ngorongoro Crater – After breakfast, descend into the crater for full day game viewing with picnic lunch. This incredible wildlife reserve is unlike anywhere else and you can see a spectacular concentration of wildlife, including the big five. Return to Eileen’s Trees Inn for dinner and overnight. Day 9 Arusha – Zanzibar – After breakfast drive back to Arusha. Lunch will be at the Arusha Coffee Lodge before transferring to the airport for the short flight to Zanzibar. Upon arrival in Zanzibar you’ll be met and transferred to Amaan Bungalows. Amaan Bungalows is a laid-back beach hotel set in splendid surroundings, where friendly staff will do everything they can to ensure that your holiday is very special and memorable. Located in Nungwi, a beachfront on the north western tip of the island, with a wide range of facilities and leisure options. The traditional architecture utilizes local materials from the island, red tiled roofs merged with romantic thatched roofs that meld into the natural beauty, the vista of the dramatic coastline and the rolling surf is spectacular, while the fiery sunsets viewed from here are the best in Zanzibar. Nungwi is home to abundant sea life that makes unparalleled settings for scuba diving, snorkelling and deep sea fishing. 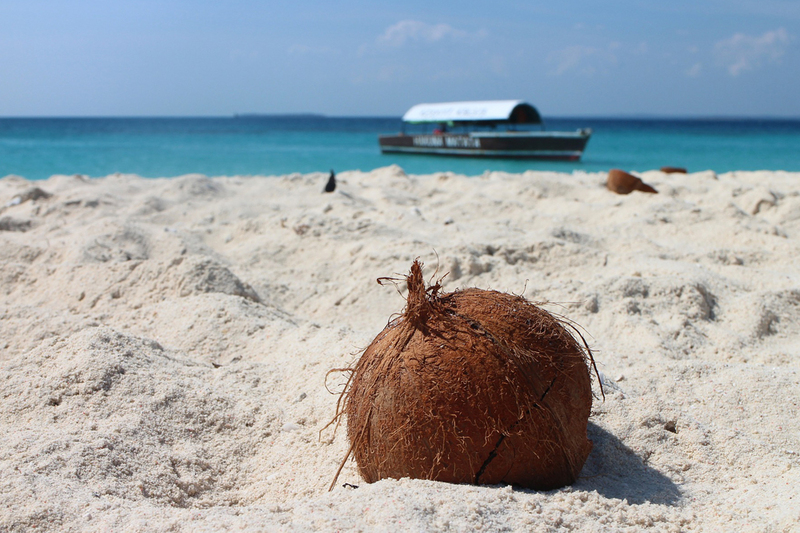 Day 10, 11 & 12 Zanzibar – 3 full days to relax and enjoy this fabulous Indian Ocean setting. Apart from the sea and the swimming pool, there is plenty to keep you occupied. Available activities include: Parasailing, Jet Ski, Water Ski, Banana Ride Boat, Glass Bottom Boat + Turtle Island, Snorkelling, Fishing, Scuba Diving, Swimming with Dolphins, Sunset Cruises and visits to a turtle sanctuary. 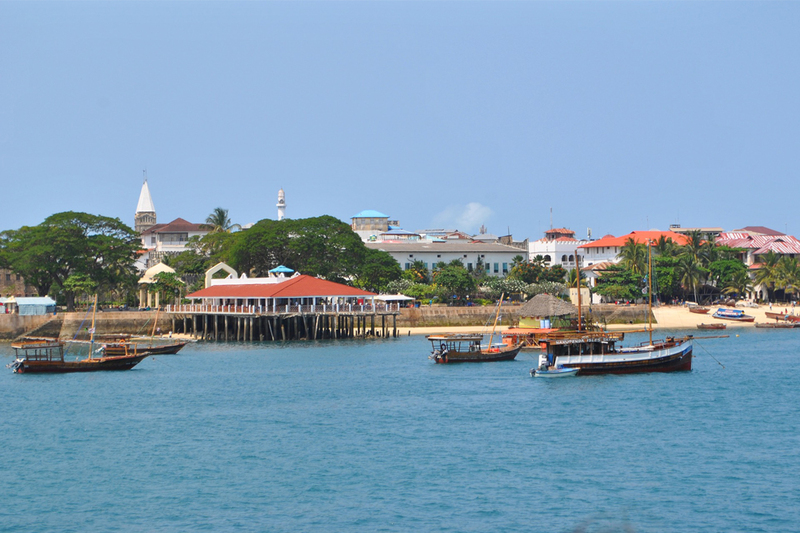 Away from the beach, Stone Town is a World Heritage site and a fascinating cultural experience. Set right on the sea front, Forodhani Gardens Food Market is the place to try local Zanzibari cuisine. The Old Fort is still impressive and now houses an art gallery. If you’re devoting a day to Stone Town then one of the most popular excursions is a trip to Prison Island where you can see giant tortoises. The Palace Museum is a good place to learn about the island’s history and heritage. If you like local markets, then visit the Darajani Markets. The fish aisle is a great local experience that always attracts plenty of action. Also worth the entrance fee is the UNESCO funded slave market museum. Your stay at Amaan Bungalows is on a bed & breakfast basis, leaving you free to dine out where and when you choose. Day 13 Dar es Salaam – And then, far too soon, it is over. Transfer from the resort to Zanzibar airport for a short flight to Dar es Salaam to connect with your homeward international flight. Prices – from £2,735 per adult and £2,220 per child in 2019 for family of 2 adults and 2 children.